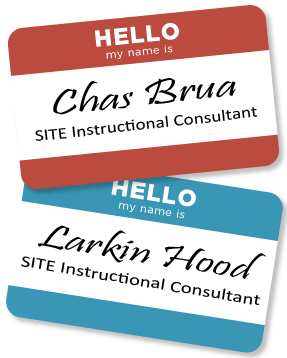 Our instructional consultants can design and deliver customized workshops on a variety of teaching and learning topics. These workshops are customized according to the individual needs of departments, academic units, or campuses. Below are some examples of customized workshops we have delivered. A well written syllabus is the beginning of a successful learning experience for your students. In this workshop we’ll discuss how to write a student-centered syllabus that will provide the anchoring necessary for a successful semester for you and your students. We all know who “they” are. “They” are staring at their cell phones and busily texting; “they” are using their laptops to check airline fares; “they” are chatting with their friends to the exclusion of everything else; “they” are always asking if there are going to be extra credit assignments. This session is not about “what they do.” Instead it focuses on what you can do to manage disruptive behaviors in a productive way. What are appropriate proactive course policies and how does one present and reasonably enforce these policies? This workshop is designed for faculty interested in learning about strategies for creating course environments in which all students can learn. Faculty will have an opportunity to identify established inclusive teaching practices that they already use and commit to trying additional strategies. Together we will discuss why these practices are inclusive and why inclusion is critical for student success. We will consider research findings that indicate which contexts and actions create exclusive environments for students. Faculty will identify and plan responses to exclusionary incidents that may occur in our courses and think about alternative actions. When you teach, you do more than cover content; you also help students develop thinking processes specific to your discipline. We offer customized departmental workshops in which you and your colleagues use an established framework (Middendorf & Pace, 2004) to critically analyze your assumptions and teaching practices. This workshop will help you create slides that are effective and engaging. Large classes can present big challenges to instructors and students alike. This interactive presentation introduces participants to strategies designed to foster student participation and class civility. We also discuss tips for handling grading for large amounts of students. This session is designed for people teaching classes of 40-500+. Curious what your Penn State colleagues are doing with technology in the classroom? This session explores several University-supported technologies, including blogs, wikis, lecture capture and VoiceThread, focusing on specific pedagogies employed with these various technology tools. Attendees will come away with an understanding of how these technologies can be applied to teaching and learning and where to go to get started with these technologies. As the use of multi-disciplinary, geographically dispersed teams in the workforce continues to rise, many instructors are incorporating team-based assignments as part of the curriculum. This workshop will examine several different approaches to teaming, specifically when working with student teams to complete large, complex class assignments. The workshop will cover methods for creating teams, strategies for monitoring team progress and strategies used to assess teams and their work. If you find grading to be time consuming and frustrating and you spend hours writing comments on student papers but are doubtful that your comments are implemented, or even read, we can help. In this workshop we will give you strategies on how to grade efficiently and effectively. The Student Ratings of Teaching Effectiveness (SRTE) is Penn State's instrument for gathering feedback from students at the end of a course. The SRTE was created by the Faculty Senate in 1985 to improve consistency across all academic units in the evaluation of teaching for tenure, promotion, annual review, and reappointment. Because of the link to personnel decisions, faculty have many questions and concerns about SRTEs. We will come to your campus, college, department, or division to answer your questions about SRTE policy and discuss what we know about student ratings from the body of scholarly research. We also offer workshops for faculty, review committees, or administrators about how to respond to and interpret SRTE results. Do you dread scoring students’ essays? Do you love the assignments you’ve created but worry that you might not be scoring them consistently? Do your students ever complain that they don’t know “what you want”? Scoring rubrics may be the answer. This workshop will provide some rubric basics then guide you through designing a rubric that you can use in one of your courses. Multiple choice tests are easy to score but difficult to write well, particularly if you want to assess critical thinking. In this workshop you’ll get some tips to help you write effective multiple choice questions and use statistical information to improve your question-writing. Discover and practice proven Student Engagement Techniques (SETs) grounded in active and collaborative learning techniques that address multiple learning styles. Participants will leave this workshop with ready-to-use classroom activities and assignments for immediate use in their classrooms. In this workshop we can help you design instruction that will keep your students engaged, focused and learning throughout the class period. Do your students seem to lack a strong work ethic, enthusiasm, and a general desire to learn? Poor student motivation can be a barrier to learning. In this workshop you’ll learn research-based strategies for increasing student motivation. You’ll feel differently about your students and leave feeling empowered to motivate them! Impostor Phenomenon (also sometimes called Impostor Syndrome) is the belief, despite evidence to the contrary, that one is inadequate, unworthy, and does not belong in a particular role or position. One attributes one’s success to luck, luck that will soon run out. “I am a fraud,” that little voice inside says, “and it’s only a matter of time before everyone else knows it. I don’t belong here.” This set of beliefs and the attendant self-criticism can have profound consequences for our well-being, our enjoyment of life, work, and school, and our ability to perform at our true levels. Impostor Phenomenon is quite common in academia, and both teachers and students suffer in secret. In this workshop we will talk more about what I.P. is and how to recover a well-deserved sense of confidence, enjoyment, and satisfaction in our teaching, learning, and research. We will also explore ways to support those students in our classrooms with similar thoughts and feelings. Whether for a job search or professional development, a teaching philosophy statement is a powerful catalyst for reflecting upon one’s teaching. Past workshop participants say that the process of creating the document is as important as the finished work. In this workshop, participants will be asked to reflect on their values and goals as teachers, what their teaching looks like in action, and how students are changed as a result. This workshop can be helpful no matter how much or little you have already written or reflected upon your teaching, and is for graduate student instructors or faculty at any rank. Interested in one of these or other teaching and learning related topics? Contact us at site@psu.edu to discuss your specific needs.